Yesterday I cracked open the original rhea egg we had been given. I wasn’t sure what to make, but wanted to be able to share it with people so I decided on lazy (aka crustless) baby tarts, although the recipe for scrambled egg put back in the eggshell and served with asparagus looked pretty cool. 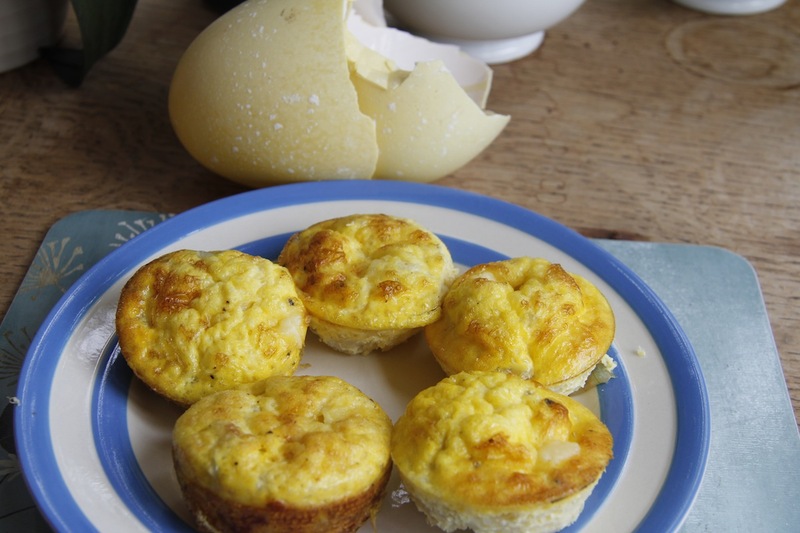 Lazy Rhea-Egg Baby Tarts – 1 rhea egg, about 100ml of milk, some Hawes Wensleydale cheese, but you could use any cheese, 1 onion. 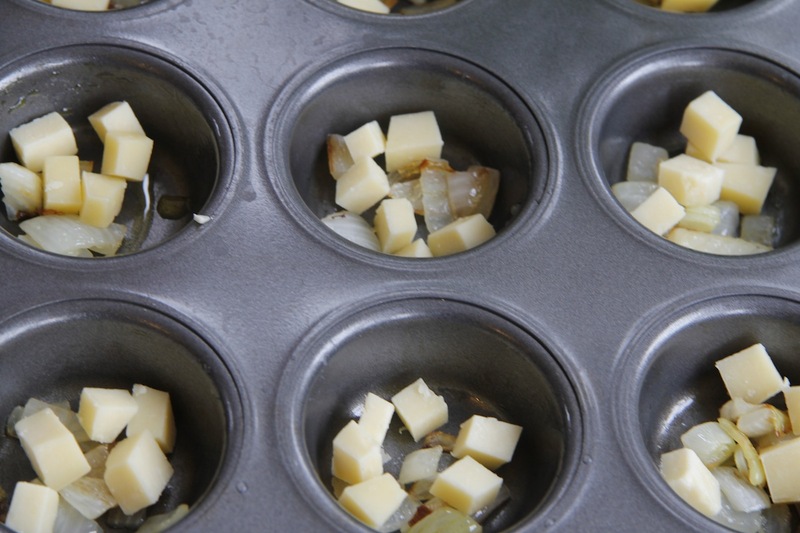 I sauteed the onion (from the garden – how exciting) in oil and then put a little into the bottom of some greased muffin tins with some cubes of the Wensleydale. 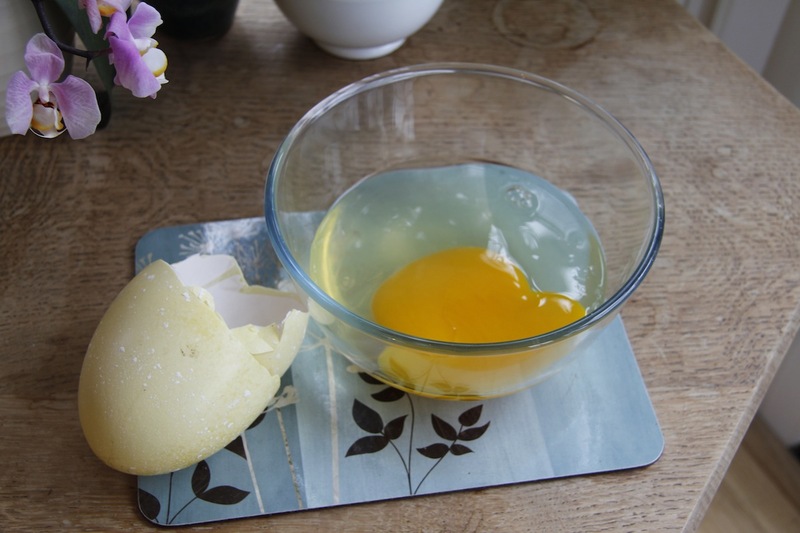 I then whisked the egg with some milk, seasoned it and poured it into the pans. I popped it in an 180C oven for 15 minutes or so. When they were golden brown I let them cool and then took them out of the pans. Although I had greased the pans they were tricky to get out and I have now knackered my pans. But what did they taste like? They were rich, but quite airy – there were lots of air bubbles in the quiches. 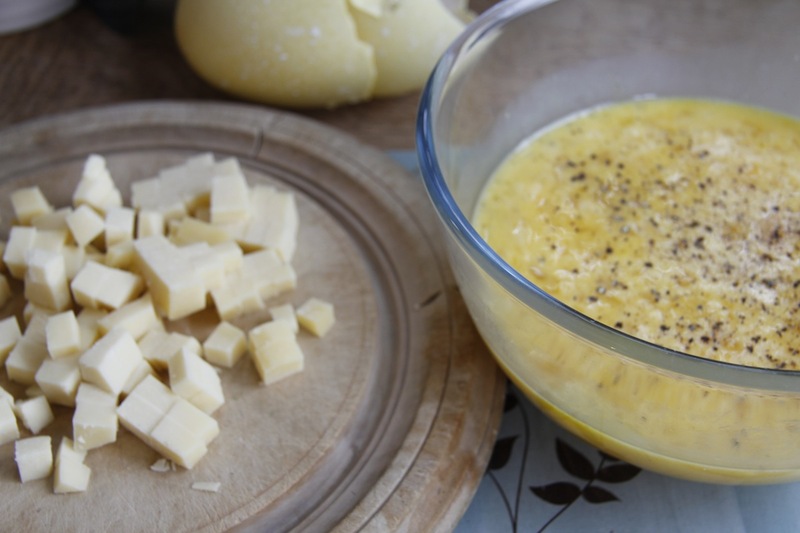 I think next time I might add a little flour to the mix to give it a firmer texture and grate the cheese – overall I thought they were lovely. But I definitely need to ask Rita for her wonderful recipe as that was truly delicious – see here. Of course having made the baby tarts I shared them with some friends on the site. George doesn’t even like eggs, but he bravely took a bite and then decided that it wasn’t for him. Belle also wasn’t persuaded, but Nathan was more positive. They all agreed that next time I should put the egg in a big pancake or cake, although Nathan also suggested a giant poached egg which would be really cool. We have some left and will be having them for dinner tonight with salad – yum yum. N.B. I now really need to have rheas as I want to be able to experiment with making all sorts of things with their eggs. They have rheas at my local zoo. I wonder what they would say if I asked for an egg to make tarts? 😉 They look delicious. You should ask. You never know they might give you one and that would be really cool. They might feed me to the tigers. Actually, there is a farm near me that breeds crocodiles and ostriches (odd, yes), I bet they would sell me an ostrich egg. Oh, an ostrich egg would be very exciting – much better than being fed to tigers! I love the way my Nathan will just about eat anything and will almost always find something positive to say about it! Maybe he needs to think about a career in food tasting?? 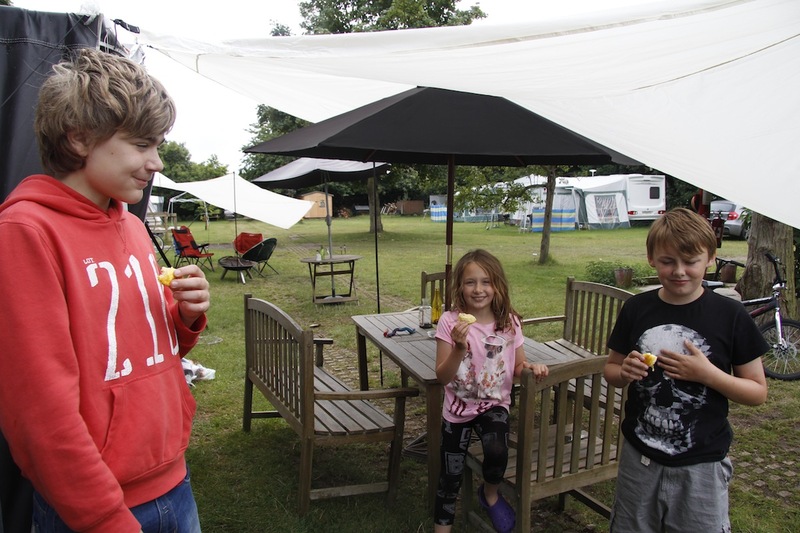 Maybe he could become a restaurant critic and then sometimes when going to review wonderful restaurants would remember the nice lady at the campsite who gave him rhea eggs to taste and take her along?? I am preparing the list of restaurants I want to visit as we speak!